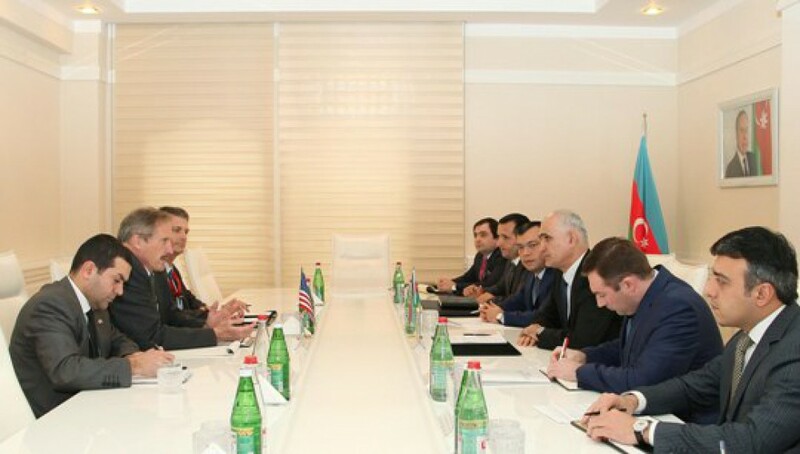 "The U.S. is ready to support economic reforms carried out in Azerbaijan", said U.S. Ambassador to Azerbaijan Robert Cekuta as he met with minister of economy Shahin Mustafayev. According to the Ministry, the sides exchanged views over existing economic relations between the two countries, prospects for expanding cooperation and other issues of mutual interest. Minister Shahin Mustafayev spoke of the economic reforms carried out in the country, highlighted the work done towards development of a non-oil sector and improvement of the business and investment environment, promotion of investment and stimulation of export of non-oil products and etc. Ambassador Robert Cekuta stressed that there was huge potential for expansion of economic relations between the two countries, and underlined the U.S. supported the Southern gas corridor project.